The owners of this house, a former ranch built in the 1940s, wanted to expand and modernize their home to create more living space and take advantage of their gorgeous property. We created a great room with an east orientation to take advantage of the beautiful views. Small square windows interspersed throughout the house create sculptural light plays indoors and add exterior texture. The curve of the great room wall is extended beyond the end of the house; it’s red color treatment evocative of the skin of an apple peeling back to the creamy center which holds the home’s side entrance. A patio space is tucked away to create a private garden on the great room’s other side. 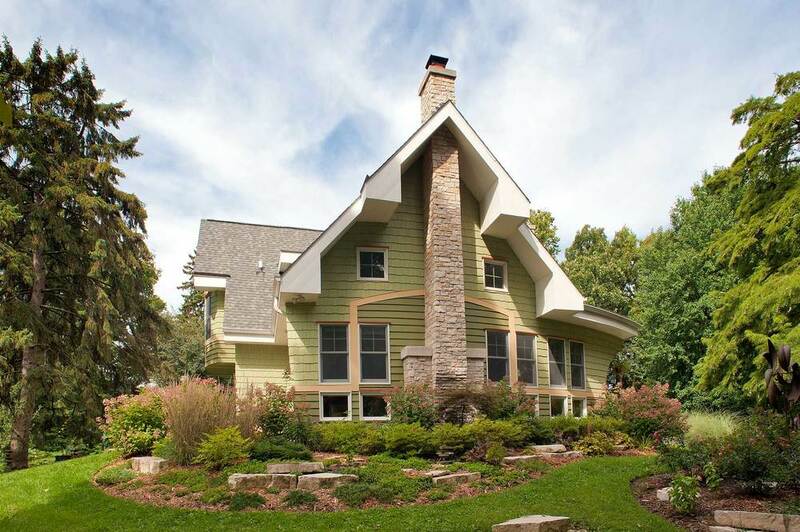 The home’s original masonry fireplace is extended by blending the new stonework above with a keyway design. 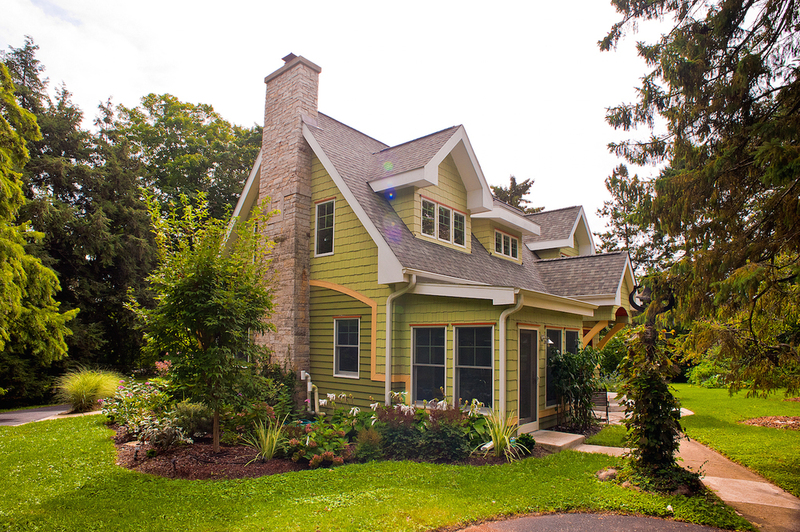 We added texture with a rich, tan band drawing you around the perimeter of the exterior, accenting the green tones of regular and cedar shake siding. The homeowners were extremely satisfied with their remodeled home. They love their neighborhood and property, and now have a spacious, liveable home that fits its surroundings . 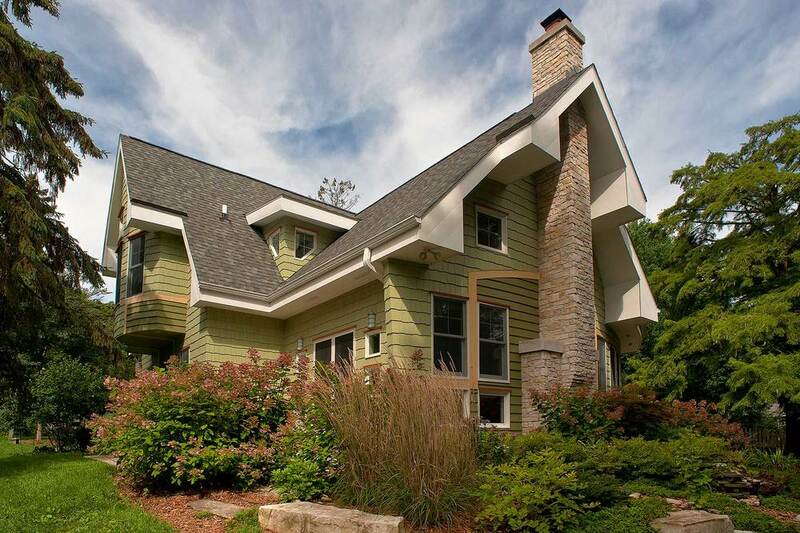 This creative, craftsman style redo was the right solution for them. 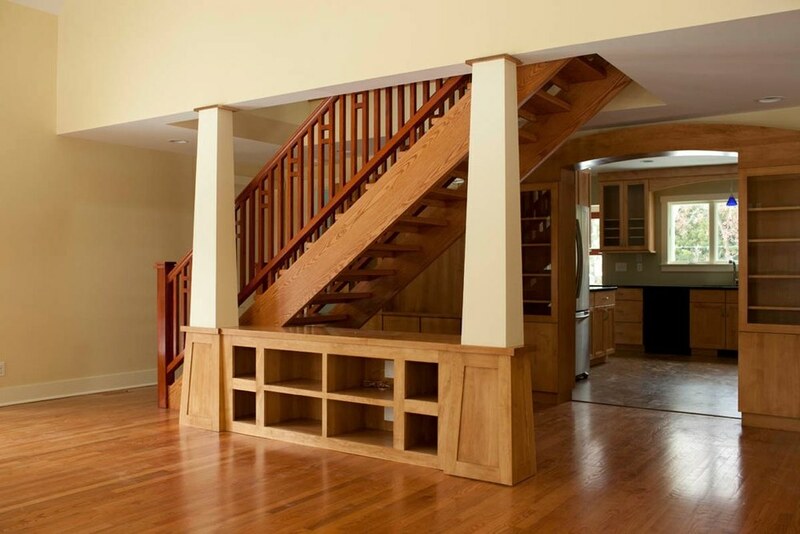 Steve did an amazing job of creating a house design that is both attractive and functional while efficiently using space. At the same time it fits extremely well into the landscape of our property.